Information management is concerned the activities and technologies involved in capturing, processing, storing, delivering and using information required for managing and strategizing in organizations. Information management training can provide a flexible and convenient way for you to qualify for a prestigious career. Business information management professionals may plan, coordinate, and direct research on ICT-related activities of a business. The technical aspects of a business organization, including network security, software development, and Internet operations are often overseen by an information manager. They partner with other managers to develop organizational goals and then implement technology to reach these goals. During tough economic times, millions of people worldwide may find themselves underemployed, unemployed or seeking a career change. Historically, some careers fair economic storms better than others. An information management qualification can be the ticket to not only a new job but a new quality of life. This page tells you more about this field, its prospects and more. You might also like to consider degrees in information technology, computer science, information systems and technology management. What is involved in information management training? The U.S. Department of Labor, Bureau of Labor Statistics “Occupational Outlook Handbook” (OOH) identifies the bachelors in information management or similar computer-related field as usually required. Typical coursework for an information management degree includes computer programming, computer science, computer engineering, statistics and math. 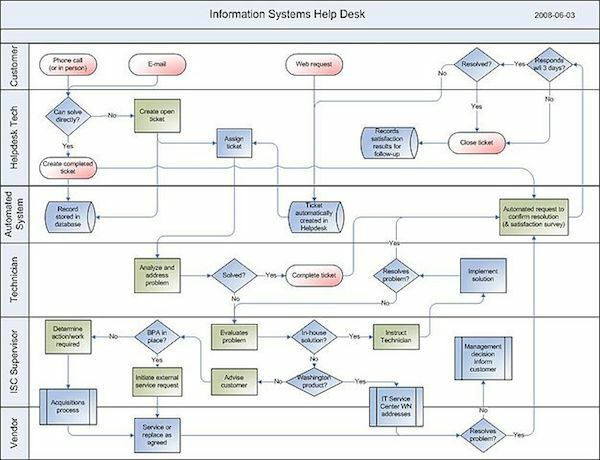 Management information systems (MIS) programs, typically taken in a business school, require marketing, accounting, finance, management, systems security, system design, database management, and networking courses. Many schools offer flexible and online programs. Employers generally seek employees with knowledge gained through years of working on a product. Professional certification, typically not required, can also provide this knowledge. Certification can demonstrate subject expertise, and increase employment chances for applicants. What are the prospects after completing an information management program? On major Internet employment search engines, searching for keywords can produce thousands of job leads. On one such search site, vacancy results included cross sections of jobs, with the top results: product process associate, asset protection specialist, project manager, software engineer, and business analyst. The search results for “IT” showed that most required a bachelor degree. Those requiring an associate degree were only slightly higher than those requiring a high school diploma. Those requiring a professional certificate followed. When it came to experience, of the approximately 68,000 position vacancies advertised, there were about 2,000 fewer vacancies requiring 15 years of experience than for those openings requiring at least 2 years of experience. The majority of positions were full time. Approximately 15,000 positions were permanent and 14,000 were contract. Of the available positions, 11,000 were part time; 4,800 were internships; 3,268 were contract; and 1,200 were telecommute positions. According to OOH, employment will grow 17% through 2018 for computer and IT managers, a rate more swift than the average for all other occupations. Approximately 342,500 jobs will be available for this occupation. An information management salary depends on the area of specialization and responsibility level. In 2008, annual managers earned a median of $112,210. The middle 50% of IT professionals earned a range of $88,240-$141,890. Median annual wages in the industries employing the largest numbers of computer and information systems managers in May 2008 employed software publishers at $126,840; computer systems designers and related services at $118,120; company managers at $115,150; depository credit intermediation at $113,380; and insurance carriers at $109,810. With the availability of information management jobs and good earnings, obtaining an information management qualification can equip you to weather economic storms for years to come.